Our smallest cabinet for a tight space. Water based paints throughout to care for the environment. 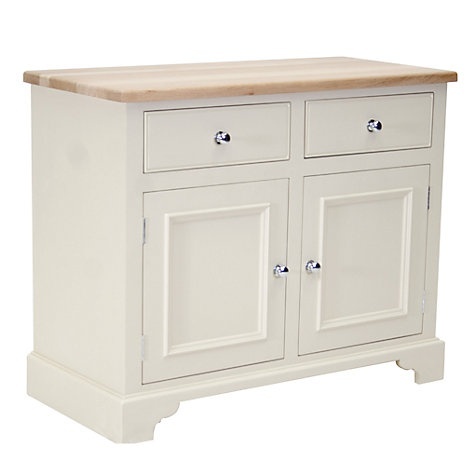 The 3ft Chichester Sideboard is the perfect small storage solution for any space – its beautiful natural oak top and hand painted finish are elegant and versatile. Its diminutive size is no barrier to it being a remarkably useful storage space thanks to its generous drawers and our special zig-zag single shelf.